Alaska Liquefied Natural Gas (LNG) Project. Please join us at 6:00 p.m. for a brief Project update including information about the 2015 field season. Alaska LNG team members will be onsite until 8:00 p.m. to discuss the Project and listen to your comments. Refreshments will be provided. This entry was posted in Issues, Uncategorized on May 27, 2015 by Chris Boone. 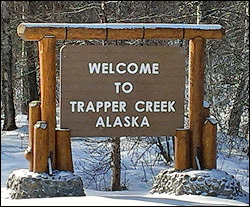 The Alaska Liquefied Natural Gas (LNG) project is inviting the community of Trapper Creek to attend a community meeting on June 2, 2015 to learn more about the project and 2015 Field Work. Members of the Alaska LNG team will be available to discuss the project and answer questions. Please plan to attend the open house any time between 6 and 8 PM. Refreshments will be provided. 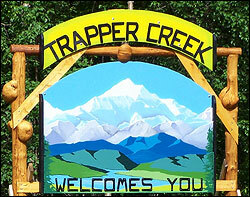 The meeting will be held at the Trapper Creek Community Center, Mile 115.2 Parks Highway. We look forward to seeing you there and discussing the project. The meeting flyer to follow. This entry was posted in Issues on May 27, 2015 by Chris Boone. This entry was posted in Meeting Agendas on May 9, 2015 by Chris Boone. I. Meeting called to order 7:05 pm. VII. Motion made by Tim Schorr to vote on the issue immediately. Motion seconded. Board member Grelson asked for a delay for more information. Motion passes unanimously. VIII. Motion to remove Glenka from the Board brought to vote. Motion failed unanimously. This entry was posted in Meeting Minutes on May 9, 2015 by Chris Boone. They flew in from Trapper Creek, drove 40 minutes from Talkeetna, and gathered in Willow, 150 or more residents, assembled to participate in the budget hearing with the Matanuska-Susitna Borough Assembly and staff last night. Key testimony centered on whether to raise the Willow fire service area mill rate to help a struggling fire department. Property tax exemptions for up to $218,000 on a home for senior citizens and disabled veterans were a subject of budget debate. Deputy Mayor Ron Arvin said he was proud to author the legislation that put the recent disabled vet and senior exemption question on the ballot that voters approved last year. Others advocated for a three percent funding increase to the growing School District. Residents also testified on what they called unfair rate hikes for the Talkeetna Sewer & Water system. Listen to what may be Assembly Member Vern Halter’s sixth and last budget session. The Willow area Assembly Member’s term runs out in October. So too does Deputy Mayor Ron Arvin’s term. Hear Assembly Member remarks on the audio. The public hearing for the proposed Borough budget is closed. Assembly Members will deliberate the budget on Monday, May 11, at 6 pm in Palmer at 350 E. Dahlia Ave. Another budget meeting is set for May 13, same place, with an executive session on the M/V Susitna beginning at 6 pm. This entry was posted in Issues on May 8, 2015 by Chris Boone.